Angelo, Carol, and the crew are a pleasure to work with. I trust Angelo as a moral, respectful, and competent contractor. He is a great communicator and attends to questions and concerns in a timely and comprehensive manner. From the initial estimate to project completion, there is no stress in working with this company. I love my new backyard, and the cost was beyond fair. All the broken down rocks, weeds, and gravel were removed, and fresh new wooden panels, soil, and sod were put in place. My existing landscape was protected while the work was done, and a cleanup was performed after. With many years of conscientious experience, you can count on Angelo to help you to develop your creative vision of your own outdoor space. I will be back for bigger interlocking landscape projects. I couldn't be happier with the work performed. Thanks a million. 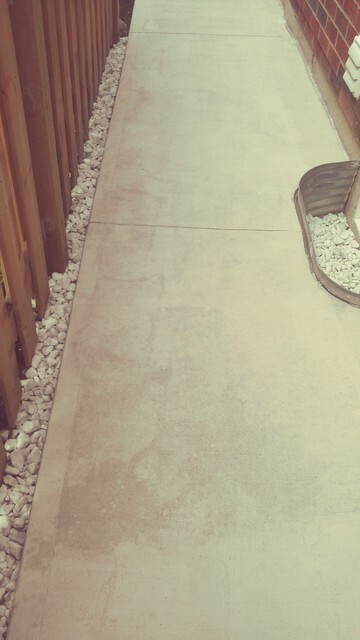 I hired John of Grandfx Concrete (West End Concrete) to resurface the concrete walkway surrounding my house based on a referral from Milton’s real estate agent Charlotte. This contractor assured me that he was competent to do the job, and selected a product by Mapei called Concrete Renew. According to the datasheet, Concrete Renew, when applied correctly, should create a uniform finish. It also states that this product must be sealed after application to ensure that it is protected from the elements, particularly water. 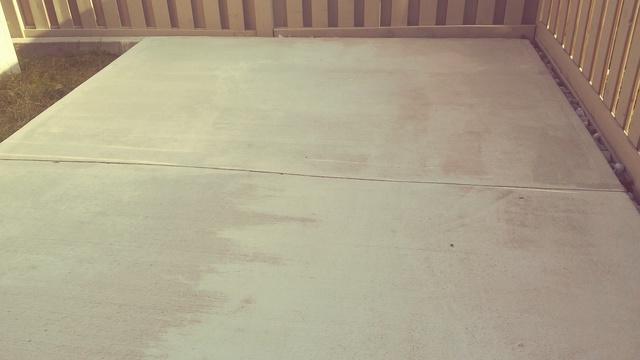 John applied this product in a non-uniform manner, which apparently was caused by inconsistent ratios of product to water throughout the walkway. 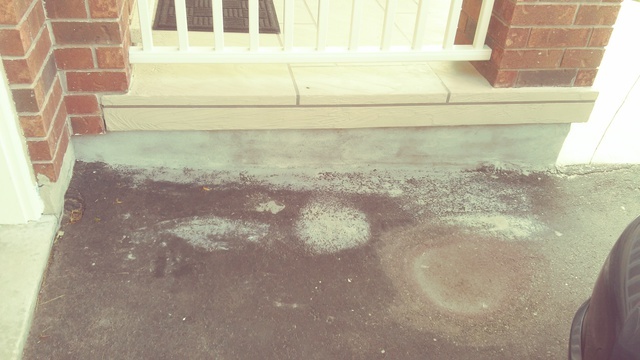 In addition, John did not seal the product after application, so that when it rained, the finish was blotchy and looked worse than when he had started. He also left concrete renew in the cuts between concrete slabs, which was supposed to be removed once the walkway was dry. John assured me that he would come back to correct these problems, and I waited for several months over the summer and fall for him to do so. He never returned, and he refused to provide a refund. In addition, he left a large pile of concrete renew on my grass, left concrete renew along the edge of my driveway through lack of protection, and trailed concrete renew along my neighbour’s sidewalk, all of which he failed to cleaned up. Lastly, he took personal equipment of mine, namely a long electrical cord I was using to mow the grass. I paid him $2000 to do this work. After posting initial poor reviews of his work, John pleaded with me that I remove the reviews so that he could obtain future work, and promised me that he would repay me the money that I gave him including damage, clean up and loss of equipment costs. I generously gave him a full year after the unsatisfactory work was completed to do this. However, he failed to follow through on his promise as outlined in the contractual agreement that he signed for repayment. I encourage all people who have been hurt by this man to post negative reviews on Homestars, Trusted Pros, Houzz, and Yellow Pages, as well as file more formal complaints through the Better Business Bureau and the Ontario College Trades. I will be pursuing legal action in small claims court. Apparently, John has changed his business name to West End Concrete in attempts to rid himself of his own wrong doings towards others. Based on my experience, I believe John to be an incompetent contractor and a person who lacks integrity.